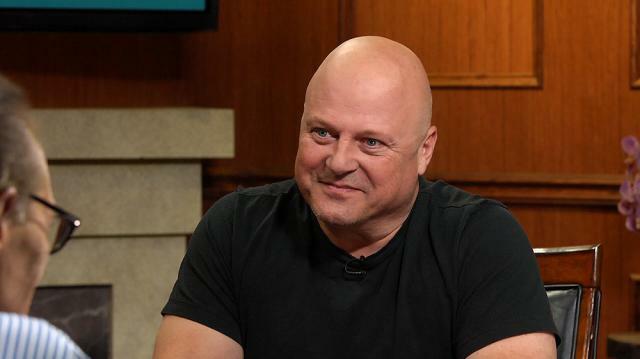 Emmy-winning actor Michael Chiklis, who is rarely politically outspoken, delves into the 2016 election, giving Larry his take on Hillary and Trump. Larry King: What do you make of the real election? Michael Chiklis: Yeah, I’m exhausted by it and it’s just been so sad, the reducing of our political discourse to what it’s become. Um, suffice to say, look, you know I’ve never been a political person publicly. I follow politics, I vote, I exercise my liberties, but I’ve never been a public person and I don’t like putting that on people. And plus I want people to be able to watch me in any character you know, and believe it, you know. Having said that, I think the thing that confounds me is, considering the dialogue, what makes people so repulsed by Hillary Clinton that they would vote for Trump over her. That’s confounding to me. I can’t imagine. Larry King: Why do people hate her? Michael Chiklis: I can’t understand it.